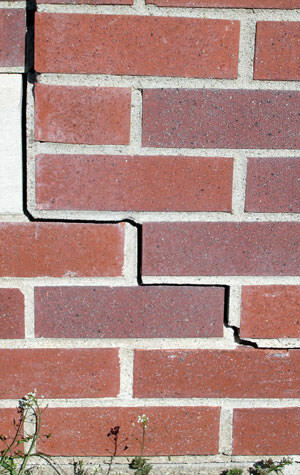 Foundation problems affect your home's safety, appearance, and value. 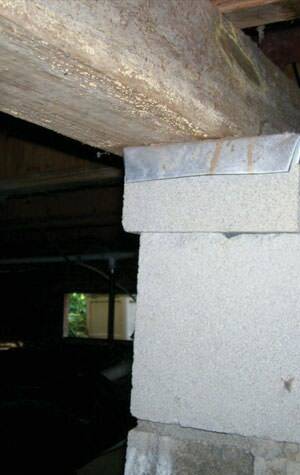 Doug Lacey's Basement Systems are the local experts that properly identify and repair all types of foundation issues. With over 20 years of experience providing quality foundation repair, we know what it takes to ensure your home has a safe, stable foundation. All of our patented foundation repair solutions are custom designed for your home. As a Supportworks contractor Greater Calgary, we install exclusive foundation products that come with a warranty and are installed by our team of trained contractors. If you're ready to find a solution to your foundation issues, give us a call at 1-833-436-1098 or click below to schedule a professional inspection with one of our foundation repair experts. We offer free estimates on all our work in Cochrane, Calgary, Chestermere and throughout the nearby areas. This homeowner in Red Deer, Alberta contacted us because they found a vertical crack on their crawl space wall, and there was water leaking through it. Wanting to rectify their concerns immediately they contacted the experts at Doug Lacey's Basement Systems. A System Design Specialist was able assess the situation and provide the homeowners with a FREE, no obligation quote. During the inspection the System Design Specialist confirmed what the homeowner had already known and provided him with a quote specific to the homeowners situation. 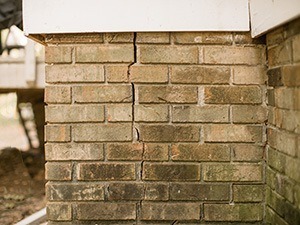 Cracks in foundation walls are common in homes throughout Alberta, however when these cracks leak they can cause a huge mess and an immense amount of frustration. The foundation crack was then repaired by our Service Team utilizing a Polyurethane Resin injection, followed by reinforcing the crack with CarbonArmor®. CarbonArmor® are a series of strips that are secured across the crack significantly improving the overall stability of the wall. This homeowner can now rest easy knowing that the correct solution is in place for their home. These homeowners in Medicine Hat, Alberta encountered issues with their homes existing foundation wall. It was cracking in spots as well as bowing inwards in sections. Looking for answers and a permanent solution, they contacted the experts at Doug Lacey's Basement Systems. A System Design Specialist was able to assess their situation and provide the homeowners with a FREE, no obligation quote designed specifically to address all of the homeowners concerns. Our Production Team was then able to then come to the home remove the wood section of the wall and replace it with a PWF Wall. A PWF Wall is designed to transfer the load from a structurally unsound foundation to this new section. From there our Production Team had installed a CleanSpace® vapor barrier along the wall which is a 100% waterproof plastic that's perfect for unfinished basement walls. With a 25 year warranty for wear and tear, it's durable, washable, and has anti-microbial protection called UltraFresh built right in! To Finish off the project the Production Team had installed our Foundation Supportworks Geo-Lock™ Wall Anchor System. Heavy-duty, galvanized earth anchors are embedded in stable, undisturbed soil outside your foundation wall. Each anchor is connected by a steel rod to a wall plate that provides clamping pressure against the inside of the foundation wall. This method also offers the potential straighten the wall back to its original position over time! A homeowner's back patio concrete slabs were sinking, coming a part and allowing grass to grow through! Showing large, unappealing gaps, this was an issue that needed to be fixed. A System Design Specialist was able to visit the home and explain why utilizing our NEW PolyLEVEL® product was the perfect solution for this problem! PolyLevel® injection equipment isn’t bulky, enabling applicators to access confined areas. When properly injected, PolyLevel® is not as messy or disruptive as other slab and foundation-lifting techniques and can bear the full structural weight within about 15 minutes after the material is injected which means little to no disruption or downtown to this business storefront. Finally an application of NexusPro is applied to all of the joints. A silicone-based sealant for joints and cracks specially engineered to provide long-lasting flexibility and to stand up to harsh weather conditions. Unlike traditional polyurethane sealants, NexusPro resists UV rays, which means it won't crack, bubble or dry. A homeowner in Irricana, Alberta noticed that he had a couple of cracks in his basement foundation. 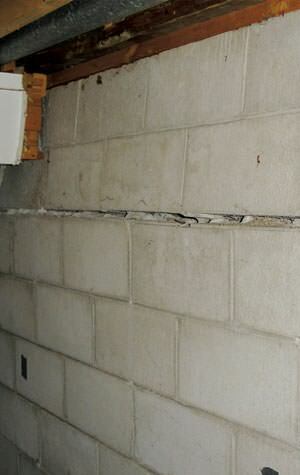 Cracks in foundation walls are common in homes throughout Alberta. Usually a side effect of the natural curing process of concrete, however when they leak they can cause a lot of mess and headache. In search of the best solution to address their concern, these homeowners contacted the experts at Doug Lacey's Basement Systems for a fix. A System Design Specialist went to the home to assess the situation and provide the homeowners with a FREE, no obligation inspection and quote designed specific to address their concerns. The foundation cracks were repaired by our Service Team utilizing a Polyurethane Resin injection, followed by reinforcing the cracks with CarbonArmor®, a series of strips across the crack significantly improving the overall stability of the wall. All of the products we install are manufactured by Supportworks, Inc. Each foundation product is carefully designed and tested by a team of structural and geotechnical engineers, and all of our systems come with a written warranty; so that you know your problem was fixed right. We fix damaged foundations in Calgary, Chestermere, Cochrane, AB. "installers was very friendly. Your company is easy to Trust." "Very pleased with your company." "Well done, from start to finish." "Thanks for the repair on our house. You did a great job." Thanks for the repair on our house. You did a great job. "Really impressed and happy with the results"
"I would highly recommend this company to anyone with basement foundation..."
I would highly recommend this company to anyone with basement foundation issues. The sales visit and presentation, right through the completion of construction was smooth and way less stressful than I thought it was going to be. I was extremely impressed with the professionalism and even the enthusiasm of the crew that came to install the 4 wall brackets for us. They were courteous, respectful, and made sure that I was aware of each step throughout completion to keep me informed as the home owner. They were great! "Overall impressed with the product. Untested and hope to never test." Overall impressed with the product. Untested and hope to never test. By Donna & Robert T.
"Our work was done in a timely manner and we were very pleased with the..."
Our work was done in a timely manner and we were very pleased with the contactors that came and did the work, explaining along the way as the work was being done. Cannot yet comment on how well it worked as we have not had any rain. Overall though up to this point it was a very good experience and the professionalism right from the start to finish was top notch. "Wesley Coxe was very polite and informative and did his job efficiently." Wesley Coxe was very polite and informative and did his job efficiently. "Had to get my foundation wall crack fixed and your warranty is unbeatable." Had to get my foundation wall crack fixed and your warranty is unbeatable. "Like what I read on the internet." Like what I read on the internet. "When calling around your company was the most professional." When calling around your company was the most professional. "Chad was very clean, courteous and very knowledgeable"
"Very happy with your company." "Very professional company, I am very please with the work done." Very professional company, I am very please with the work done. "No one likes to have problems with their foundation, Les made it a good..."
No one likes to have problems with their foundation, Les made it a good experience. Thank you! "I am very pleased with the work completed and the services that your..."
I am very pleased with the work completed and the services that your company offers. "Everyone I dealt with was most polite." Everyone I dealt with was most polite. "When I called, the office staff was courteous and knowledgeable. Work was..."
When I called, the office staff was courteous and knowledgeable. Work was scheduled and completed in a timely manner. "I want to comment about the excellent service, the 2 young gentleman..."
I want to comment about the excellent service, the 2 young gentleman provided with installation, kudos to them. "Dave Spaans did beautiful work and was a real pleasure to talk to and deal..."
Dave Spaans did beautiful work and was a real pleasure to talk to and deal with. "Very nice people to deal with both the office straight through to the..."
Very nice people to deal with both the office straight through to the production. "The crew was very professional and thoughtful." The crew was very professional and thoughtful. "Happy with the work that was done." Happy with the work that was done. "We are very happy that you were able to accommodate us quickly. Thanks..."
We are very happy that you were able to accommodate us quickly. Thanks again! "A very positive experience. Thanks for a job well done!" A very positive experience. Thanks for a job well done! "Your company was recommended as the best in the industry!" Your company was recommended as the best in the industry! "I wanted the basement problem stopped and trusted your company to do so." I wanted the basement problem stopped and trusted your company to do so. You don't have to live with stressful foundation problems. Doug Lacey's Basement Systems will conduct a thorough inspection of your home, and we'll let you know exactly what steps need to be taken to permanently stabilize your foundation -- restoring value to your greatest investment. Contact us today to request your free foundation repair estimate in Cochrane, Calgary, Chestermere, Airdrie, Okotoks, Cochrane, Chestermere, Brooks, High River or nearby.